I thought I'd start this post with a Christmassy looking photo. 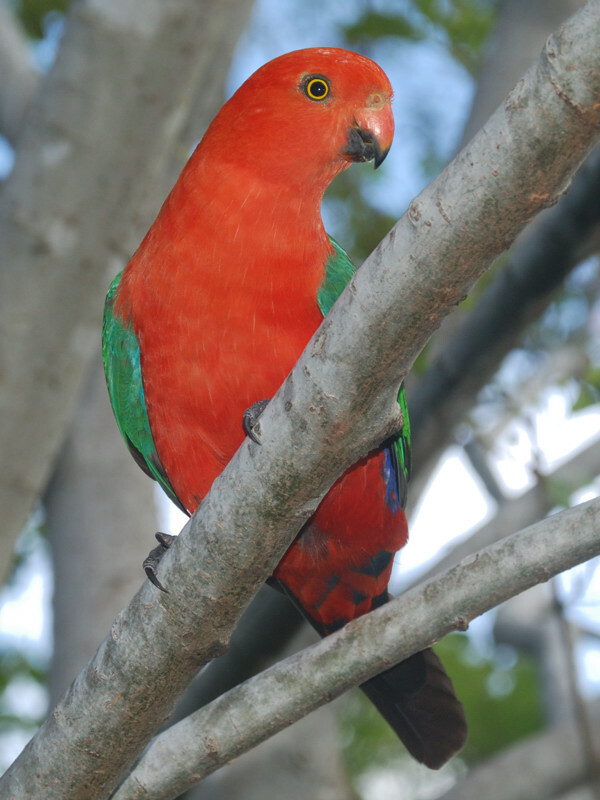 This is a King Parrot who visited last week. As a holiday bonus, we have a Baby Possum Alert. 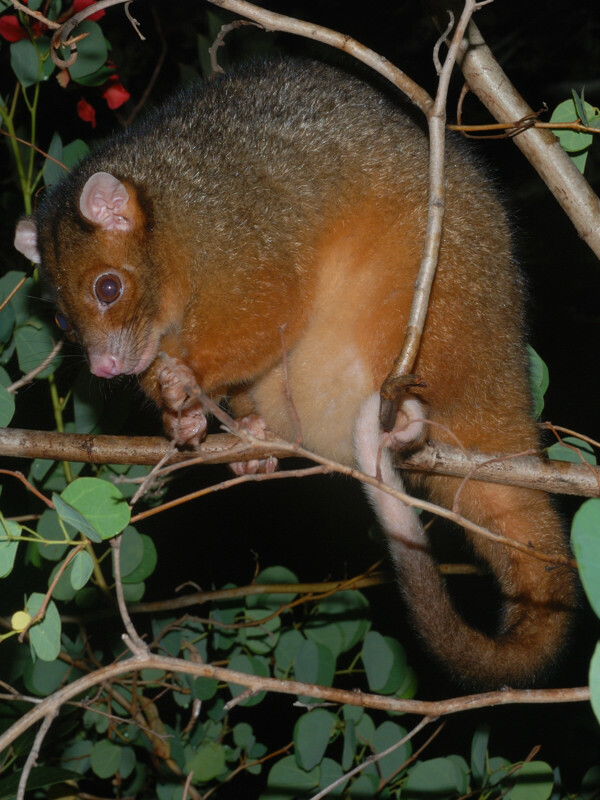 Sasha has been using Box 7, and her latest baby has started to emerge from her pouch during the daytime. Regular Possum TV viewers will know what this means, but for the benefit of any new visitors, let me repeat what I wrote last year. 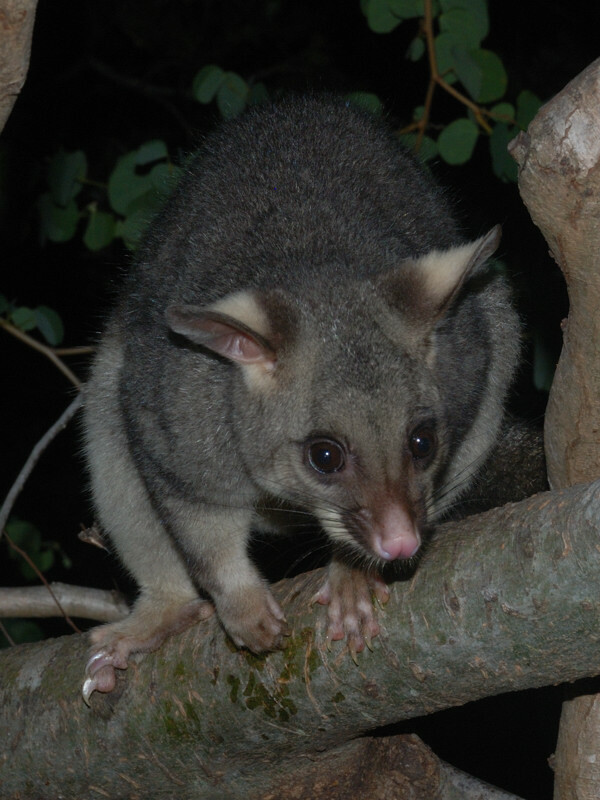 There is a brief period of time (maybe a couple of weeks) when a baby possum is not yet old enough to back-ride during the night, but is old enough to come out of the pouch during the day. 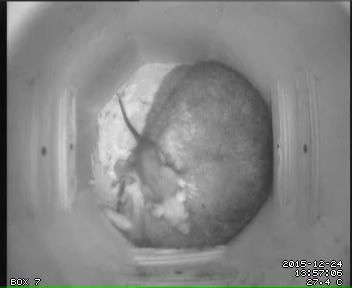 This is the most interesting time to watch the box cameras, because the baby has been asleep in the pouch all night, and therefore is full of energy during the day and up to all sorts of mischief in the nestbox. At most, you might get to see this a couple of times a year, so now is the time to watch. Sasha can normally be seen in Box 7 and you can get an overview of all of the boxes here. If there's a possum in box 1 or 2, this will probably be Farley. Last night Toto, Farley, Sasha, Wasabi and Ruby all visited. This was quite unusual; normally only Farley, Sasha, and (occasionally) Toto have been visiting. Also, it was raining, which generally tends to keep the possums away. Maybe they worked out what time of year it was and knew there would be extra treats to be had. Ruby has more babies in the pouch. Finally, here's a photo of Toto. Although she's lower on the pecking order (or should that be scrabbling order?) than Sasha, she is in good health, with no signs of any wounds from fighting, so she's obviously worked out some strategy to avoid trouble.